After telling you all about the old Hollywood inspired movie itself and its incredible stage- and costume design, for the DVD release of Allied I want to take you behind the scenes and have a look at the vintage vehicles, the wonderful swing music and the true story behind this touching film. Die deutsche Version des Beitrags findest du hier: Vintage Fahrzeuge und Swing Musik – Hinter den Kulissen von Allied: Vertraute Fremde. The movie is inspired by a true story that writer Steven Knight heard when he was 21 years old. It was about a man, who was member of the British Special Operations Executive in World War Two. The man fell in love with a French Résistance fighter. He somehow was able to take her to England to live together and marry. One day he went to work and his superior officer told him, that there is evidence that his wife was working for the German enemies. The officer gave him a gun and told him to shoot her. For a long time Steven Knight was thinking about making a movie out of this incredibly touching story, and now he finally made this happen. At the time the movie plays London was already on his knees, nobody knew what the future would bring. Germany was ready to invade. The organisation SOE was founded in 1940 and operated in all countries attacked by the Axis forces. It was their aim to cut the Axis supply lines to their troops, parachute into the enemies‘ countries and to create secret armies to assist the liberation of the invaded countries. 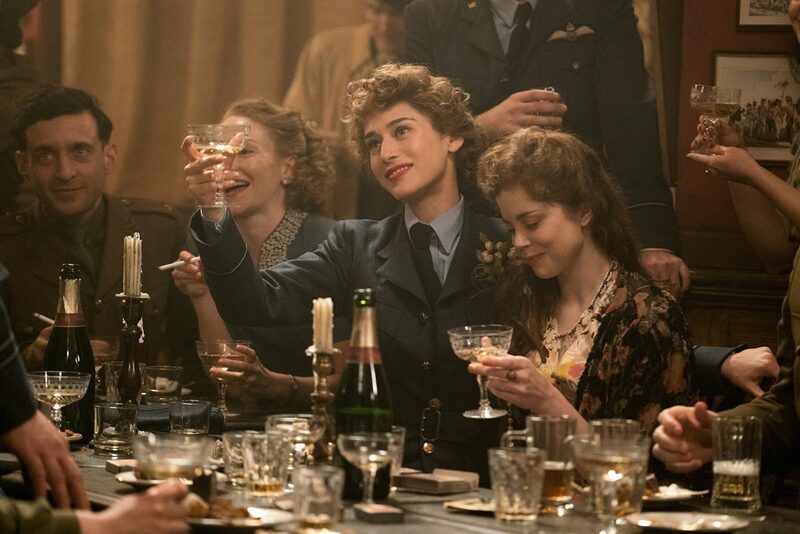 Writer Steven Knight says, that members of the SOE risked their lives when working in this organisation, so this movie shall also be a tribute to all those men and women who were part of this. One of them was the man Steven Knight heard of, and he is also one of the main characters of the Allied movie: Max Vatan, played by Brad Pitt. The American filmmaker Robert Zemeckis is an expert in creating amazing and successful Hollywood movies. Back to the Future, Forrest Gump and The Polar Express are only three of his long list of great films. French Actress Marion Cotillard said, that this was the first time Zemeckis was really diving into such a deep love story like the one between Marianne and Max. 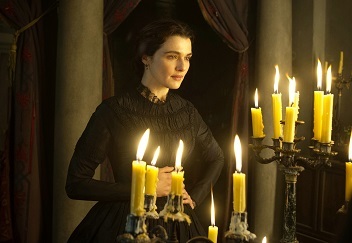 She found it very exciting to see him work and create the special atmosphere that the film needs. Zemeckis is very focussed on details, drama and information and wants to show the audience: Who is Max Vatan, who is Marianne Beauséjour and what is important to their lives together, especially in London as there are having their own little family. His aim is to move the audience emotionally, and this powerful love story seems the perfect base his idea. “Only a few people can claim that they made perfect movies. Bob Zemeckis absolutely can.” Lizzy Caplan / Bridget Vatan. Lizzy Caplan plays Bridget Vatan and Charlotte Hope plays Louise. Alan Silvestri is the man behind the Swing music of Allied. 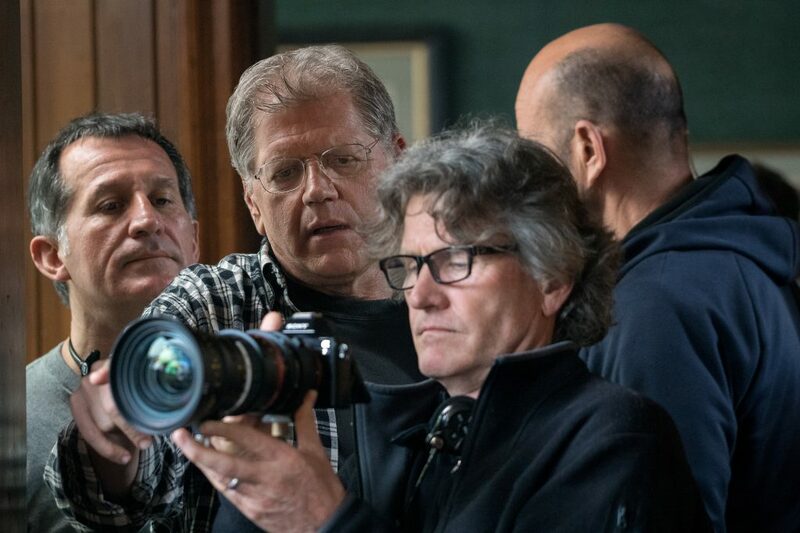 Robert Zemeckis and Alan Silvestri have been working together for 33 years and 16 films already and accentuate the importance of being a good team to create good results. Silvestri explains that instruments allow us to talk about something than one cannot really express with words – emotions. When working on a film together, step by step the two find the musical voice of a movie, what the music shall express, its tone. “The primary theme of the film comes from these kind of beautiful and horrific elements.” Alan Silvestri. 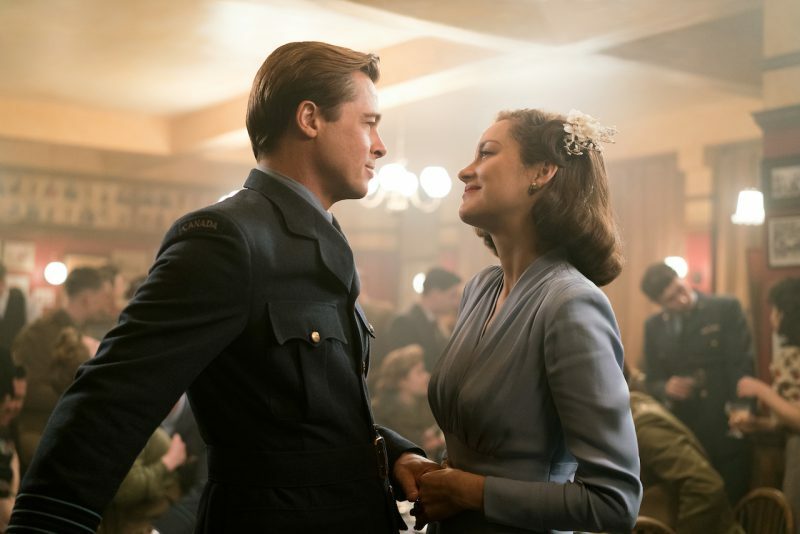 In Allied the musician wanted to express what people had to endure in the 1940s in their daily life. He sees the work with instruments like a work with a canvas. The use of single instruments or a whole orchestra can create completely different impressions and feelings. So the soundtrack of Allied became very romantic, but also extremely full of melancholia and longing. 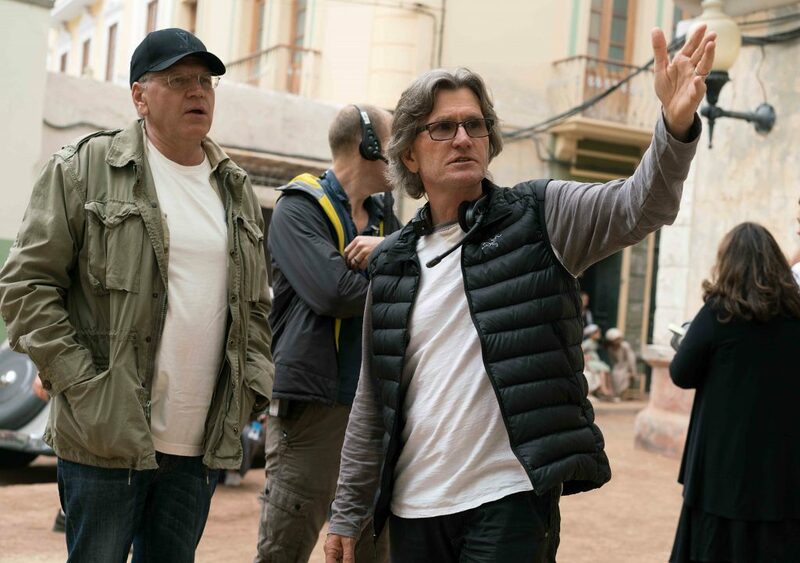 Director Robert Zemeckis and Director of Photography Don Burgess on the set of Allied. Such a beautiful dancing and music scene was the one of Max‘ and Marianne’s wedding. Big Band Swing sound was very popular in the 1940s in America in England. For many it was all they had culturally so the Jazz music was always being played. Recordings even came from military planes from the States to England. 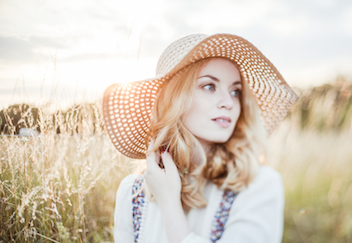 So Robert Zemeckis used famous 1940s Swing songs to give the audience the feeling of that time. In an interview Robert Zemeckis emphasized that to evoke the authentic spirit of the past times, not only the people and costumes are incredibly important, but also vintage vehicles. Old cars and planes literally transport the audience into another time. Cars are one of the easiest things to recognize what era a movie plays in. That is why a film crew needs to put a big focus on the correct cars for the time of the story. Especially important were Max Vatan’s cars, such as the beautiful Citroën he receives in Casablanca. For the crew this was a crucial car as it had to evoke the glamour and style that Max personalized in this setting. Max Vatan’s Humber in London, which was an original vintage car. 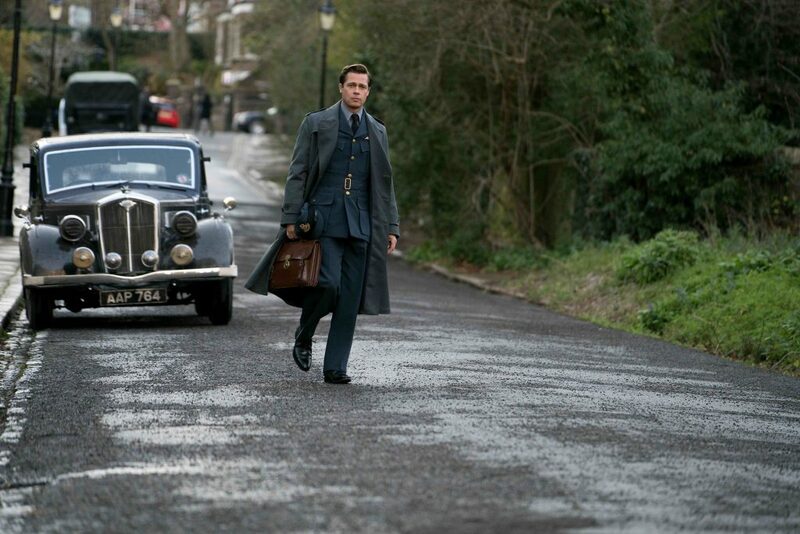 Due to the wartime there can be seen lots of military vintage vehicles in the movie as well. A Humber is Max Vatan’s staff car, which was a typical car for the English army. A lot of production work took place in this car, as well as the giant climax in the end of the movie. Lots of production issues had to fit in to this small vehicle, as well as technique and cameras to show the scenes inside and from the perspective of the actors. To see all the beautiful vintage vehicles and settings in action and to listen to the wonderful music in this romantic and tragic movie, the DVD of Allied Movie is now available. Wishing you all lots of joy watching and afterwards I am curious to hear what you think about the movie! Marianne and Max over the rooftops of Casablanca.